Christian Beranek is the writer of Validation, a webcomic telling stories from the life of a trans girl living in the city. The series addresses the idea of her looking for a place in society as she finds friends, goes dating, reads a lot of comics (of course) and gets involved in the comics community. It’s a bold comic – honest and open, without ever coming across as melodramatic or overwrought. The central character, Ally, is a wonderfully drawn protagonist, and Beranek’s writing puts you right inside her thoughts as she lives her life. Along with artist Kelci Crawford, it’s a comic which has started to build up a real fan community around it – and rightfully so. Also the co-creator of The Webcomic Factory, Beranek puts out an incredible amount of content onto the internet every single week – but still managed to find time to have a chat with me about her work, her writing, and webcomics. Steve: What is the general idea of the series? What is the story you want to tell with Validation? 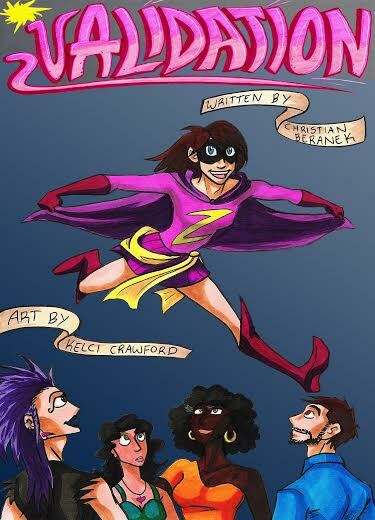 Christian: Validation is the story of Ally, a trans girl doing her best to live a fulfilling day-to-day life. She faces a myriad of challenges and interacts with all sorts of different people along the way. What co-creator Kelci Crawford and I are trying to accomplish is to produce an ongoing webcomic that tackles trans and geek issues in an entertaining way. Steve: How did the series come about? Christian: I had the idea knocking about for a few years. When I was living in Los Angeles I knew quite a few trans people and was obviously dealing with my own feelings. I wanted to create a comic that dealt with the trans experience in a positive way. I wrote down a bunch of ideas for stories but they were either way too serious or way too silly. I scrapped a bunch of potential takes before the right one came along. And that was Ally. When I began writing in her voice it just started to flow. I don’t gatekeep anything she says, I just let her do her thing. Steve: Was the plan always for this to be published digitally? What do you feel were the advantages of running the story as a webcomic? Christian: I like publishing online, especially with an ongoing series like this. Webcomics present an amazing opportunity for creators to take chances on stories that might need a little more time to find an audience. And that really is the main advantage: Building up a readership. Another big plus is the ability to interact with our audience on a daily basis. Kelci and I appreciate feedback and the strong loyalty readers have to our characters. It’s fun when they speculate on outcomes of storylines and react to events. It inspires you as a creator to keep doing your best work. The one thing you have to make sure of if you are doing an ongoing webcomic is to deliver consistently. As with print comics, running late can make your audience lose interest. If you say you’re going to update on a schedule readers will wonder what is up if you start falling off track. The best way to handle that is to create a buffer so you’re always ahead in case life stuff happens. For example, Kelci broke her wrist early on but we had a few months of strips ready to go so we were able to keep up until she was able to draw again. Steve: How do you plan out the story? You don’t deviate from the three-panel format, which must at times be somewhat frustrating – how do you manage a story which demands a set-up and punch-line within three panels? In fact – do you even view that as being the objective for a three-panel strip? Christian: It’s all about the reveal. I credit working with Tony DiGerolamo on the comic Post Apocalyptic Nick for showing me how to pace stories out in the three-panel format. There is indeed a rhythm to the format that is different from a traditional comic page. The key is to have a reveal and a cliffhanger if the comic leads is part of an arc. If it is a stand alone one, which we pepper in from time to time, there is the set up, reveal and then either a payoff or a final thought — and sometimes those are one and the same. Steve: How did you decide on Validation as the title for the series? It’s a brilliant choice, but one which only starts to really reveal itself once you really get into the comic and read a chunk of it – the more wrapped into Ally’s life the reader gets, the more striking the title feels. Christian: I appreciate that, thank you! There was a group of trans girls I knew in Los Angeles who used the word. If they felt they “passed” as women in society they called it “Validation”. Now, I am not a fan of the term “passable” or the concept of having to prove yourself to anyone. So, I thought it would be interesting to use Validation and reclaim it for validating one’s self. Steve: You alternate scenes of Ally’s life with scenes of her processing her thoughts at home, whilst at her computer. Was this an intention from the series from the start, or something you developed along the way? It adds an interesting balance, and works as a solid way to really get into her head. Christian: I think networking on our computers and mobile devices can be helpful at times but you have to get out and live life. The series starts with Ally on her laptop and after a particularly outlandish reply from someone in an online conversation she realizes she might be spending too much time in cyberspace. The computer then shifts from her main source of connection to a place where she can touch base and download her thoughts. We have a future storyline involving bloggers so we’ll explore those ideas more. Steve: The comic speaks disarmingly about Ally’s experiences as a trans woman. You offer the dismays as well as the triumphs she experiences, never letting one aspect overshadow the others. It could have been easy to give her everything she wanted, or to have her face overwhelming depression – how did you decide upon the way you wanted to present her life for readers? Life is a big mix of crazy and we’re all just trying to do our best. Steve: You refuse to define her solely through her gender identity, instead highlighting her personality and interests. What do you think are the defining traits of her personality? What about her do you find most engaging, as a writer? Christian: She is a romantic pragmatist. I wish I could be more like her, to be honest! Steve: Does she ever surprise you, when you start writing her? Do you ever find that writing her character leads you into an unexpected direction? Christian: Often! She is pretty fearless so it allows me to send her into some situations some people might think twice about before entering. That same fearlessness, however, causes her to say things sometimes that maybe should have been considered twice before uttering aloud. I really enjoy writing the journey Ally is on and am excited to see where it goes. Steve: How far ahead do you plan the series? Do you try and allow for more spur of the moment topical moments, or do you try to structure the series very carefully? Christian: I have a general outline for where the series is going. Kelci and I typically like to have a month or two buffer of strips in the bank. We’re not reacting to anything as it happens but are definitely aware of current events. Steve: Because, on that note, the strip can be surprisingly topical at times! You address ideas like “fake geek girls” even as the discussion was first becoming live and happening on the net. How do you decide when to break from the central story and address and talk about current events in the comic, instead? Christian: I had a sense that it was going to become a massive debate. It’s been building to a boiling point for many years now and I’m happy so many people are finally speaking out about it. Hopefully we can find some solutions to make comics a great place for all creators and readers to thrive in. As for deciding when to break away… We do some self contained strips from time to time which allows us to address certain issues directly. They provide a natural break between storylines. Steve: How did you first meet Kelci Crawford, and how did the idea of collaborating on this story come about? We built up a buffer of comics before launching and have done our best to stay ahead ever since. Steve: What do you feel she brings to the story? You can see a notable progression in her artistic style across the 80-odd strips which have so far been released. Christian: Kelci has always had the amazing ability to draw facial expressions and body language. That skill set has been instrumental to the success of the story. Over the course of the past year she has really improved with background designs and set pieces. She also always surprises me with the little “easter egg” pop culture references she incorporates into the comic. I feel fortunate to be working with her and watch her progression! In speaking with Kelci about her own comic ideas I really think people should keep an eye out for her upcoming work. Steve: You also co-manage a website called The Webcomic Factory, which publishes a number of different webcomics. What’s the concept of the site? How did it come about? Christian: My good friend Tony DiGerolamo and I get together a few times a year and brainstorm story ideas. We always come up with so many different concepts and in 2010 decided that we needed a place to test them out. We post a new comic every day of the week including Saturday and Sunday. It’s a big variety of stuff featuring loads of different genres. Steve: Can you tell us about a few of the comics featured on the site? What sort of things can readers find at The Webcomic Factory? Christian: We recently debuted a high school anthropomorphic comic called Millennials and a quirky vampire comedy called Lester Crenshaw is Dead. There are also several completed graphic novels you can read through on the site including Post Apocalyptic Nick, Dealers and Comic Book Mafia. Steve: Do you try to follow a familiar tone or style for all the comics you feature – or the opposite? Are you actively looking to offer readers a wildly different, varied choice of stories? Christian: The Webcomic Factory is an idea house and we are constantly trying to do different stuff. The main mode of consistency is to do our best to tell good stories. And yes, we are actively looking to provide a variety of comics while working with a multitude of artists. We are always on the look out for new collaborators. Steve: What do you view as the key to a good comic? What advice would you give for people who are looking to set up and tell their own digital stories? Christian: Matching great storytelling with great art is the key. Once you have that, set up a user friendly site that’s easy to navigate. 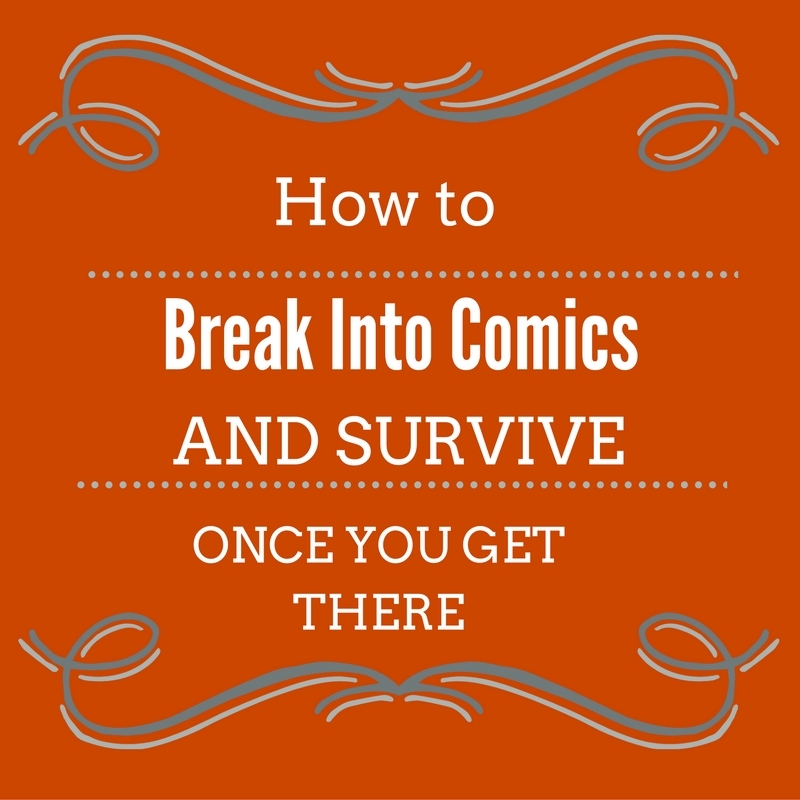 I suggest not trying to do too much or overly impress people with your first few comics. Just tell a good story. I would also advise staying away from mimicking the stories you grew up with. 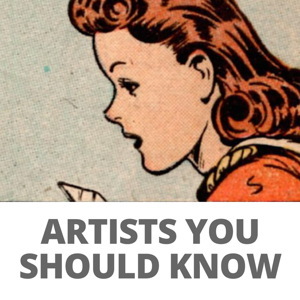 We all have our favorite comics by our favorite creators but those tales have already been told. Discover your own voice. And above all: Be persistent! There have been overnight success stories but that’s like winning the lottery. It takes years to get noticed. Do the work and build up your catalogue and audience. Steve: Do you have any other projects coming up? Where else can we find you online? Christian: I have several graphic novels I’ve been working on over the past few years. I pay my artists out of my own pocket so I have to pace myself production wise. I’m also looking for interesting writing gigs but I know the competition is fierce out there — seems the same ten people write all the books! I like all of them but hopefully we can see some more diversity in the future. Comics needs new voices. Many thanks to Christian for her time! You can find her online on Twitter and on Tumblr, and check out more from Validation right here. 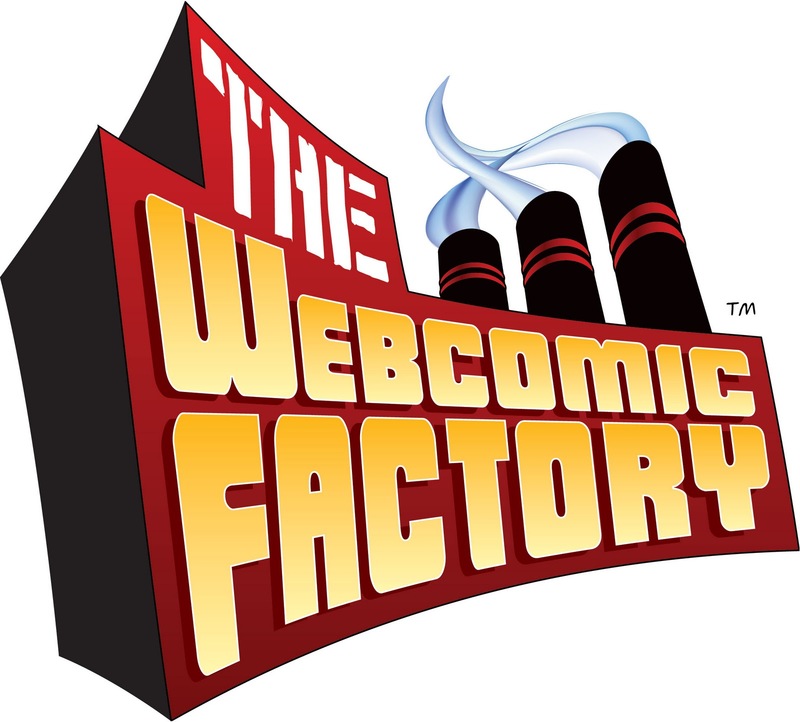 The Webcomic Factory also updates every day – you can find it here! Talking bunny, Little Mix enthusiast and co-publisher of The MNT, which you can find here. I’m a big fan, both of Christian & of “Validation”. Thanks for getting my week off to a good start with this interview!